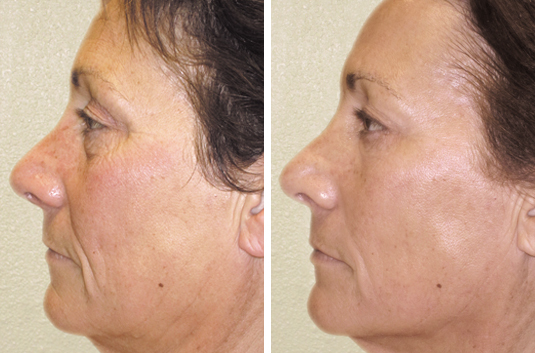 By utilizing a suite of advanced skin care technologies, Thursday’s Non-Surgical Facelift Treatments work to restore and define facial muscles, effectively reducing fine lines and wrinkles with the most comprehensive treatment available. The process combines micro-current, ultrasonic waves, and healing light therapies to rejuvenate, exfoliate and brighten the outer layer of skin while stimulating muscle tone, cellular renewal and collagen production. Restores and defines facial muscles, reducing fine lines and wrinkles. Renew and recondition your décolleté, remove unwanted hyper pigmentation and age spots. Renew and recondition your hands, remove unwanted hyper pigmentation and age spots.